Size: fits all sizes Materials: Wire w/clasp & extra 0-rings to fit wrist sizes. 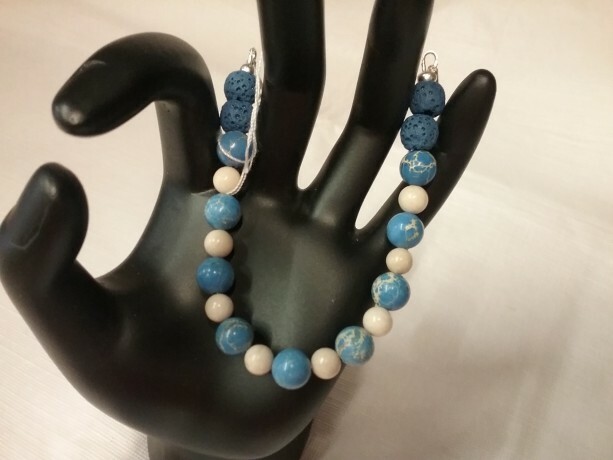 Blue Impression Jasper: is a wonderful stone for emotional healing. It imparts a calm, soothing energy, compassion, humility and patience, for others and for oneself. Jasper builds confidence, reduces insecurities and supports a healthy need to move forward in one's life.